Padre Pio one decade rosary from Italy. Large 10mm round red glass beads with floral accents. 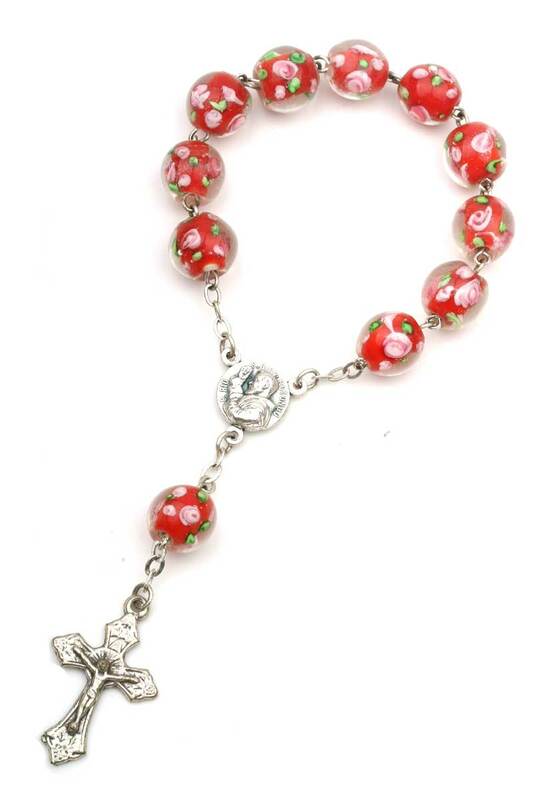 Large and smooth beads make it easy to pray the rosary. Length: 5.5"